Gateway Wine and Spirits Fest in Central Park and at the Chesterfield Amphitheater. Attendees will enjoy wine and spirits from several regions around the world and live music. Food will be available from local restaurants for purchase. See website for more details and to purchase tickets/designated driver tickets available. Part of the proceeds will benefit the St. Louis Area Foodbank and Ollie Hinkle Heart Foundation. The Chesterfield Amphitheater is located in Chesterfield's Central Park. Many events are held at the Chesterfield Amphitheater such as city sponsored movie nights and concert series. 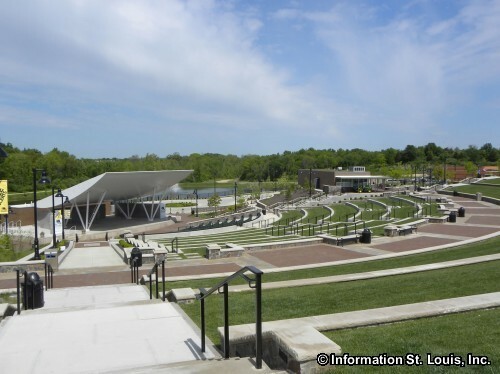 The three day Taste of St. Louis is also held at the Amphitheater. Directions: Located on Veterans Place Drive, accessible from either Burkhardt Place or Lydia Hill Drive from Chesterfield Parkway West, in Chesterfield, Missouri.